In many ways, these lists are long overdue. I’ve been a librarian in Oakland for more than five years. Every year students visit the library to research issues of racial profiling, police abuse, mass incarceration and community-based alternatives. Some students want to research causes and solutions for the violence permeating their lives. Some, more insulated by privilege, just wanted to understand what happened to Oscar Grant or Alan Blueford. They have serious questions. Why does this keep happening? How did it get this way? What does this say about our country? Our city? Michelle Alexander’s The New Jim Crow tackles these complex issues incredibly well. But there are many other resources, too. There are tools for teachers and parents; academic research studies; thoughtful interviews; groundbreaking works on race in America; and incredible poems by youth distilling rage, hope and healing. There are documentary films that chronicle social uprisings against injustice (each generation chipping away at the mortar of racial bias and institutional racism), and books presenting critical analysis or opposing viewpoints on police brutality and a skyrocketing prison population. Most notably, there are dozens of new articles and videos with crucial viewpoints -- from the youth and families most impacted by these issues. Young people from Ferguson, Florida, Oakland and New York are leading a national movement to reform policy, demilitarize policing and end racial injustice. Now, the nation is finally paying attention to their questions and their demands for change. I invite you to join me in learning and listening. Please share, build on and customize. Many people helped with these guides! We asked library staff and community organizers to share articles, books and research that has resonated for them. We asked teachers what has helped open critical dialogue with their students. We asked parents what has helped them talk to their children. We welcome your ideas, too. Please comment below. Awesome resource! I've added a lot of books to my to-read list! Maybe you could also add some books on the Black Panthers, especially since they started in Oakland? Their history defies a simple classification into good or bad, but they championed a lot of community-based techniques, like the Breakfast program. Thanks! 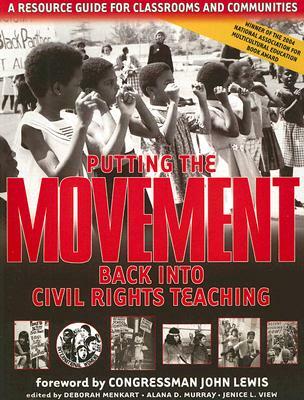 We included a few books about the Panthers on the Protest and Social Movements guide, especially books about about the Serve the People programs. Thank you for highlighting these other two resources as well. We will consider them for sure. Thanks! We included a few books about the Panthers on the Protest and Social Movements guide, especially books about the Serve the People programs. Thank you for highlighting these other two resources as well. We will consider them for sure. Your resources are great. I will post a link on the Real Cost of Prisons Project Facebook page. There are 9000+ people on the page and I think many are looking for more information, analysis and history. You might want to check out the Real Cost of Prisons Project website. There are hundreds of papers on mass incarceration, the war on drugs, prison building, women, youth and conditions of confinement and hundreds of links. A good bibliography and political comix and writing by men and women who are incarcerated. There are also links to our three comic books (now out of print unfortunately)but available on-line to read and download. Thank you for your comment and sharing the resource list on your page. I am familiar with the Real Cost of Prisons project. You do great work. Thank you for reminding us about it!